We are very pleased to report that the herb farm training centre at our La Rochelle property has seen the establishment of 10 hectares of ‘field test’ of organic herbs. The trials are well on their way and fast expanding. 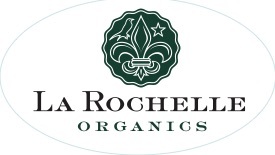 The project presents an exciting opportunity for ensuring the economic viability of La Rochelle, training and supporting small scale farmers, caring for the environment and raising the profile of the NTZ regionally.